Explore Group offers sailing enthusiasts the chance to get down and dirty onboard a genuine America's Cup racing yacht. 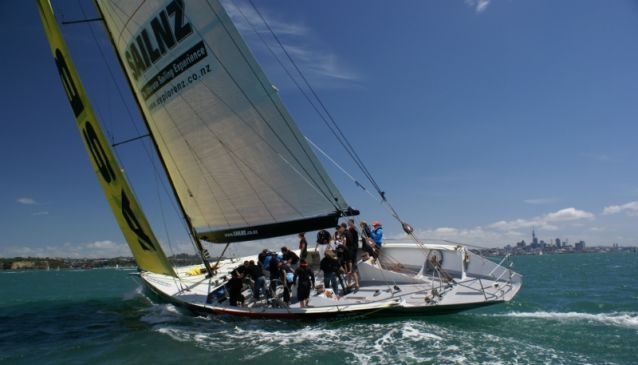 Auckland is famous for its sailing history, especially in the sport's premier competition. So if you've always wanted to know what it feels like to go zooming across the water on one of these babies - now's your chance. The America's Cup Sail Auckland trip lets you stand in the deck shoes of professional racers. No experience is necessary, as your professional friendly crew will tell you everything you need to know. You'll get a chance to steer these monsters out into the Harbour (or you can just sit back and enjoy the ride), and by the time you're back on dry land, you'll be itching to go right back out again. If you want the full America's Cup experience, though, then you must try the America's Cup Match Race Auckland package. This is the full monty, there's no hiding down below, and you've got to be prepared to get wet. You and your crew will be going head to head with another genuine America's Cup racing boat. If you're brave enough, you can try steering as you shoot through the foaming waters at speed. Or, you can just grab on for dear life and feel the whoosh of the wind and spray in your face as you go hurtling across the Harbour, following the actual starting sequence of a real America's Cup race. Both experiences are unique - there are no other authentic America's Cup yachts available to the public in New Zealand, other than these. Please visit www.exploregroup.co.nz for bookings.